Jeffrey Eugenides has always sought to infuse his fiction with the pleasures of “old-fashioned” storytelling. He strives for a “Classical shape,” a “pleasing and elegant form,” for “something that seizes you, that grabs your attention and gives you a ride through a book.” Yet his stories are also highly self-conscious, given to “postmodern play” (but not “the continuing sense of relativism that I got so tired of”); the narration invariably calls attention to itself in one way or another. The Virgin Suicides, for instance, issues forth from the perspective of a mesmerizing but inconsistent communal “we.” And Middlesex, the captivating story of a Greek-American family that begets a girl named Callie who becomes a boy named Cal, combines what Eugenides has called a third-person heroic epic with a coming-of-age tale, fusing the two with a film-reel chattiness (which hasn’t aged well). 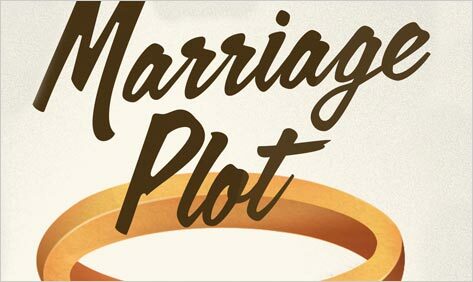 Compared with the sweep and whimsy of these earlier stories, his latest, The Marriage Plot, is tighter, more sober, and surprisingly message-driven. The book does live and breathe, but through its characters, not through its agenda, which is to prove that the romantic preoccupations of the nineteenth century are as relevant in our day as they were then, that love and spirituality are still our most important problems, and that the question whether and whom to marry is not passé but as fraught and as vexing as it ever was. At its best The Marriage Plot conjures the heat and confusion of young, troubled love in all its dreadful complexity. At times, though, the story is so constricted and pedagogical, it feels like a controlled experiment involving the interbreeding of Middlemarch and the criticism of Roland Barthes. The setting is Brown University in 1982, at the dawn of American fascination with French literary theory and in the heyday of second-wave feminism, when English majors were first being taught Derrida over Dickens and young couples were beginning fairly routinely to live together without marrying. Madeline Hanna, a beautiful literature student whose bookshelves and intellectual interests tend toward the Victorians, grudgingly takes a semiotics class in her final year. There she meets Leonard Bankhead, a brilliant biology major who’s as much of a misfit in the class, with his bandanna and candor and athletic frame, as she is. But unlike Madeline, Leonard radiates ease, confidently debating the most difficult material with their black-clad, supercilious classmates. It is his composure and self-possession as much as his intellect and ambition — “My goal in life is to become an adjective,” he says: ” ‘That was so Bankheadian’ ” — that inspires Madeline’s infatuation with him. Once they become lovers, he starts finishing her sentences, “as if her mind was too slow. As if he couldn’t wait for her to gather her thoughts. He riffed on the things she said, going off on strange tangents, making puns.” Leonard’s genius, it becomes clear, is linked to dangerous and disquieting bouts of mania. When Madeline tells him, while they’re in bed together, that she loves him, he walks across the room, naked, pulls her copy of Barthes’s A Lover’s Discourse from her bag, and points to a crushing passage: “Once the first avowal has been made ‘I love you’ has no meaning whatever…” Their on-again, off-again relationship, and Leonard’s seesawing emotional state, bedevil Madeline throughout the novel. Meanwhile, her sometime friend and constant suitor, Mitchell Grammaticus, a religious studies student (also brilliant) who’s promised entry to the Ivy League divinity school of his choosing on the strength of a final exam, is so obsessed with Madeline and so unsure what to do with himself after graduation that he scrapes together some money and sets out for India, via Europe, to distance himself from the object of his desire and to make real his spiritual quest by caring for the infirm and the dying with Mother Teresa. Before the final pages, there will be a wedding, psychological breakdowns at home and abroad, plenty of class-based tension, and even more heartache. As in all of Eugenides’s fiction, many of the details are wonderfully surprising and true. What for me reveals the inner life of the snobbish and naive but good-hearted Madeline more than anything else is her memory of the old custom-made wallpaper, featuring scenes of her little redheaded namesake from Ludwig Bemelmans’s children’s books, that she talks her formidable mother out of tearing out and replacing in her bedroom at home. But ultimately The Marriage Plot is a disappointing concoction, not fully integrated, its flavors separated like orange juice left sitting too long. As A. S. Byatt did in Possession, Eugenides wants to offer at once all the satisfying coincidences, thwarted passion, and acute social criticism of Anna Karenina or Great Expectations, and the self-awareness and profundity of a postmodern novel of ideas. Whereas Byatt’s book delivers romance, intrigue, and puzzle-solving pleasure alongside ardent and unexpected philosophy, Eugenides’s latest is hobbled by a theoretical framework that drains life from the characters, slows the momentum, and fails to provide insights original or illuminating enough to justify all the metafictional parlor tricks. It lacks the righteous fury of Bleak House, the tumultuous drama of Jane Eyre, the microscopic inspection of The Pale King, the coldly incisive self-reflexivity of J. M. Coetzee, the humor and ease of John Barth. Which is not to say I disliked it. I read it with enthusiasm from start to finish; I laughed several times; I teared up at the end. But all too often reading The Marriage Plot was less like sinking into a George Eliot novel than studying an extremely insightful academic article about one. Editor’s note: the quotations in the opening of this review are taken from this 2003 interview with Jeffery Eugenides in 3:AM Magazine. Maud Newton is a writer and critic whose book on ancestors is forthcoming from Random House.